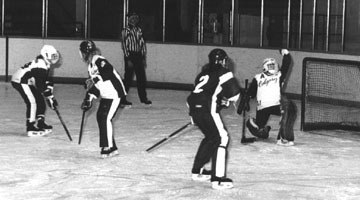 Arrangements were made to introduce Ringette as an intramural sport in the fall 1988 ciriculum at the University of Calgary. 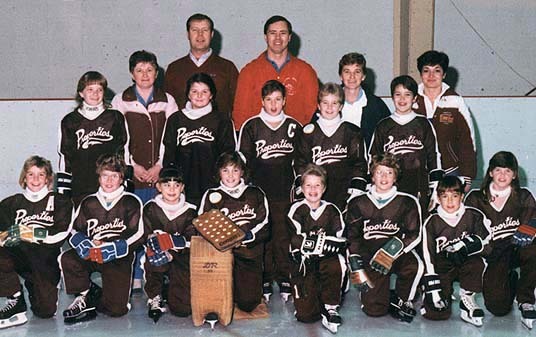 Saskatchewan Ringette began to play "no zone"
Bunny $5, Novice $6, Petite $7, Tween $8, Junior $9, Belle $11, Deb $12 - add $1 for "A" level games. 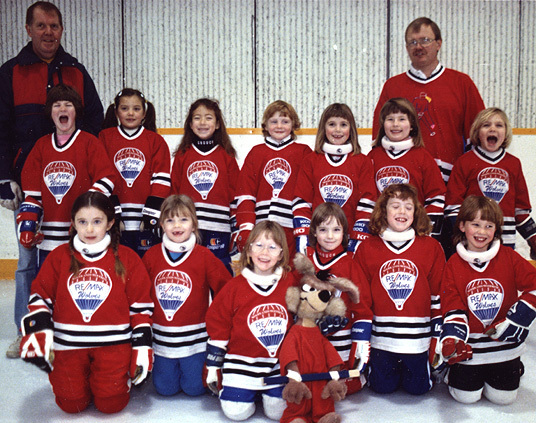 Ringette Canada announced that ringette will be added as a sport at the 1991 Canada Winter Games in Prince Edward Island. 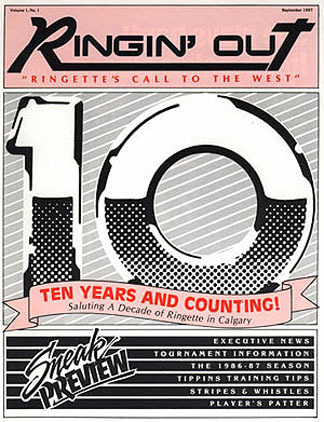 Ringette Calgary had a telephone line installed at the secretary's home and an answering machine was purchased to take messages on the "Ringette Calgary" phone line. A computer system was also purchased. 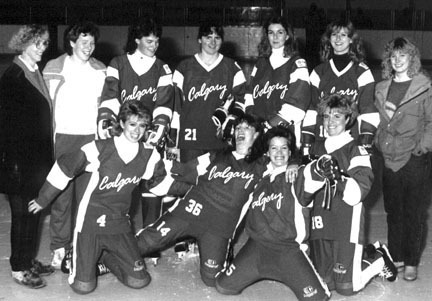 Ringette Calgary was successful in their bid to host the 1990 Canadian Ringette Championships. 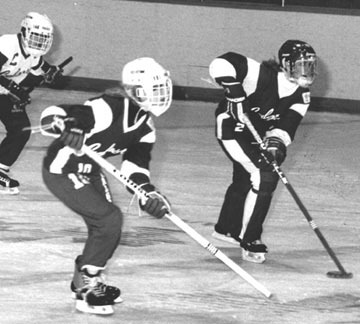 Ringette Canada announced that it would host the first World Ringette Championships in 1990. 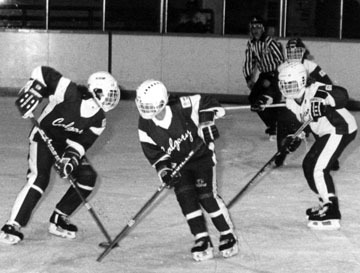 Ringette Calgary made it mandatory for all players to wear neck protection. 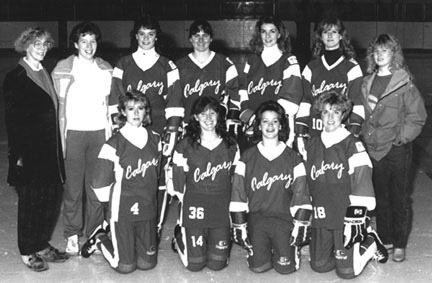 Crossfield started their ringette program, and joined the Calgary league. 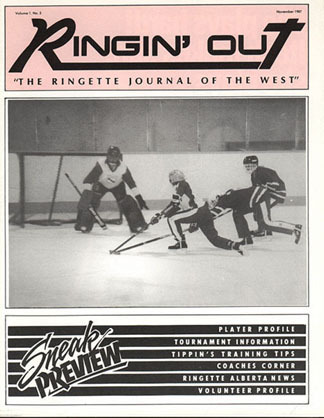 The first issue of "Ringin' Out" was published in September 1987 by Laura Webb, with editing by Lisa Brown. 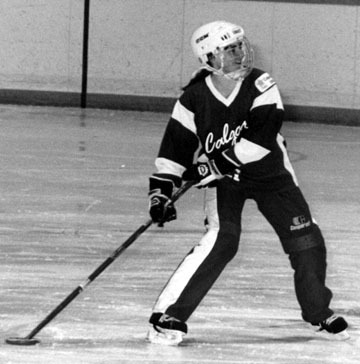 Two additional issues were produced in the 1987-88 season. 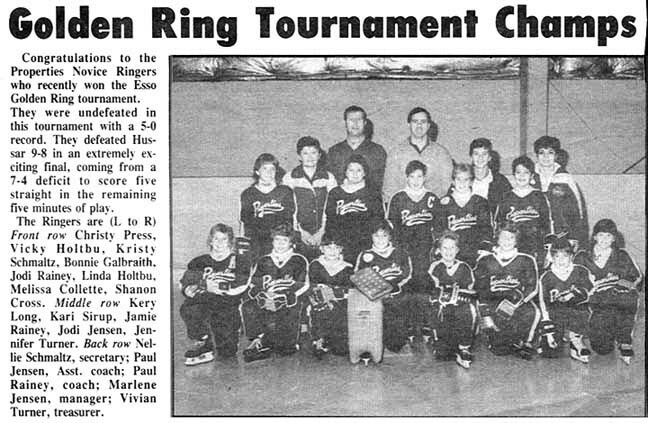 The Third Esso Golden Ring Tournament was held December 27-29, 1987. For the first time this tournament hosted "A" level (rep) teams, as well as "B" level (houseleague) teams.